As established in the first Iron Man movie, Tony Stark (played by Robert Downey Jr.) isn't really a sentimental guy. He doesn't look back, only forward - which would go a long way in explaining how he has ended up with so many suits of armor: he recognizes design issues and then makes new suits to try and fix them. 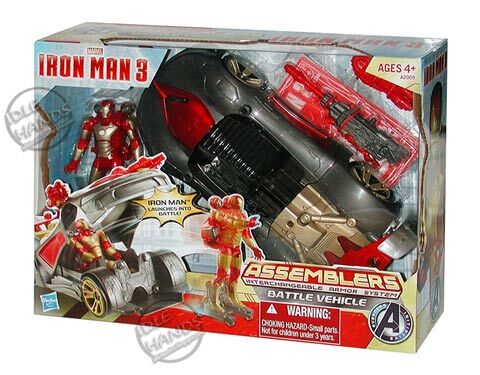 If we're being more realistic, though, the reason why we see a new Iron Man suit in all of his movies is because the studio wants to move merchandise and they know they have a better chance of doing it if the new toys don't look like the old toys. Enter the plastic lineup for Iron Man 3. 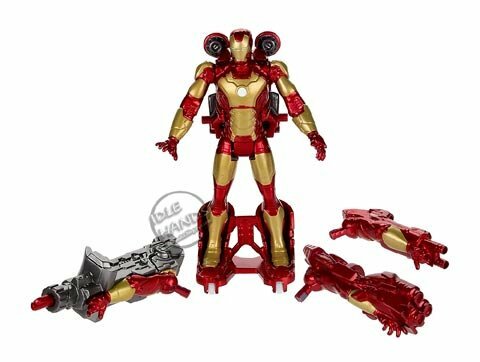 Toy blog Idle Hands has gotten their hands on some new toy images from the upcoming action flick, and while they don't seem to reveal much about what we might see in the movie, at the very least they give us some new looks at the mostly-gold Mark XLVII armor. 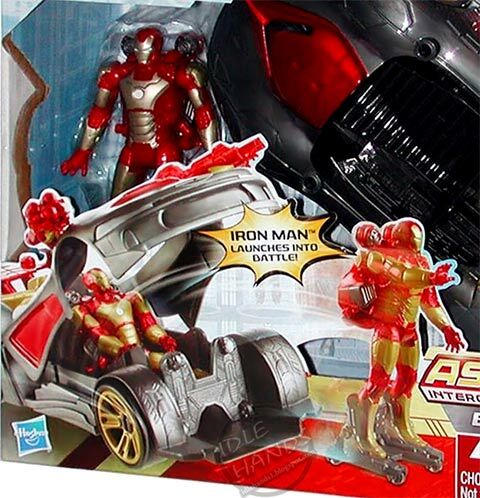 The images also include something called the "Iron Assemblers Battle Vehicle," but considering the limited chance of seeing Tony Stark riding around on roller skates I think it's safe to say that not everything in the toy box is making it into the theatrical release. 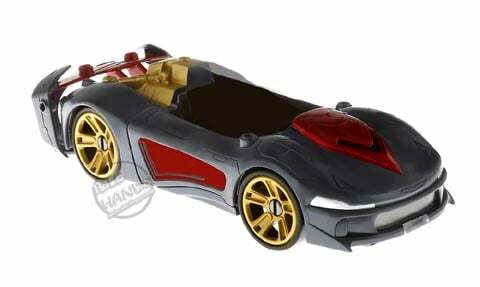 Check out the toy images below and head over to Idle Hands for more. Iron Man 3 is co-written and directed by Shane Black and stars Robert Downey Jr., Gwyneth Paltrow, Don Cheadle, Jon Favreau, Ben Kingsley, Guy Pearce, Rebecca Hall, James Badge Dale, William Sadler and Ashley Hamilton. Production is still on-going, as the movie prepares for its release on May 3, 2013. For more from the movie, including stills, trailers, posters and news, head over to our Blend Film Database.